CANTON, Mass. (October 3, 2017) – Baskin-Robbins, the world’s largest chain of specialty ice cream shops, is bringing hauntingly delicious desserts to its shops nationwide this Halloween season, including the new Fang-Tastic Monster Cake. Additionally, Baskin-Robbins is offering a range of frighteningly good deals over the course of October, including a Small Cappuccino Blast® for $2.99 all month long. 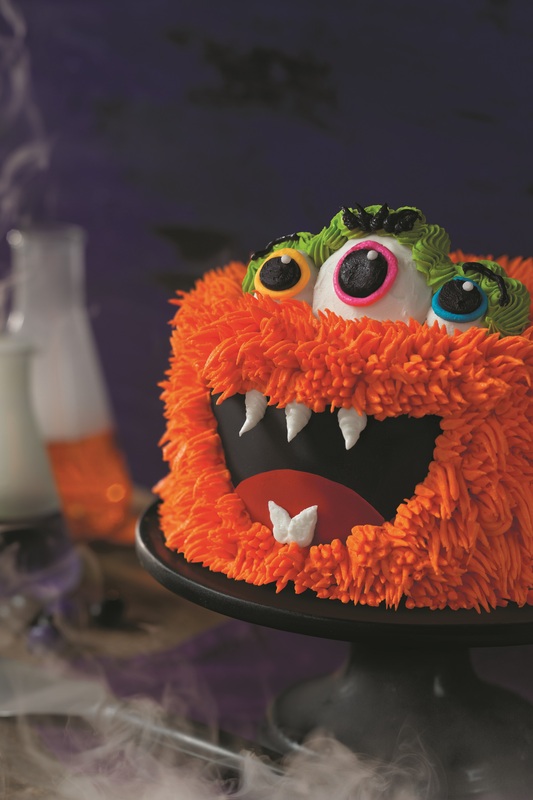 The newest addition to Baskin-Robbins’ ice cream cakes lineup, the Fang-Tastic Monster Cake, is a friendly and fuzzy monster cake that can be customized with a guest’s favorite ice cream and cake flavors. Guests are also invited to try Baskin-Robbins’ new Trick or Treat Polar Pizza® Ice Cream Treat, which features Made with SNICKERS® ice cream piled high with classic Halloween candies. Both treats can be pre-ordered for Halloween parties either in-store or online at www.baskinrobbins.com/onlineordering. Baskin-Robbins is also getting into the Halloween spirit with its October Flavor of the Month, Candy Bar Mashup. 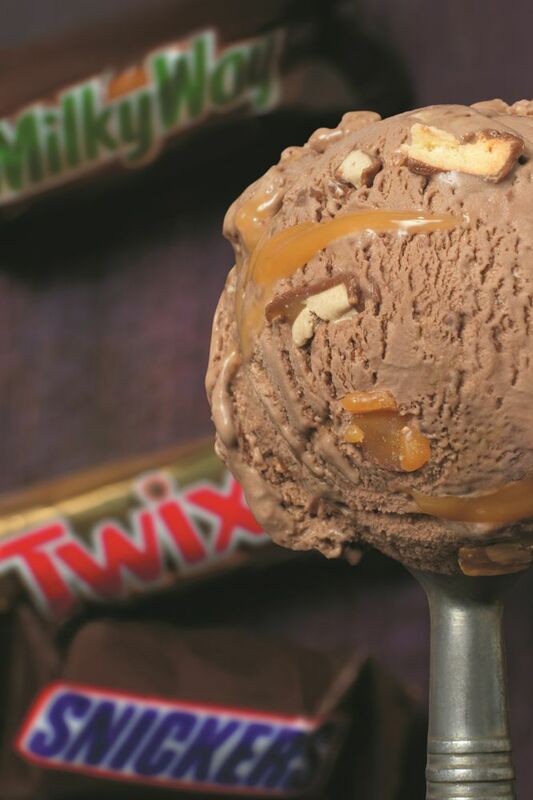 This flavor features a monster mashup of SNICKERS®, MILKY WAY® and TWIX® bar pieces in chocolate ice cream with a caramel ribbon swirled throughout. Candy Bar Mashup can be enjoyed in a cup, cone or with candy toppings. Finally, Baskin-Robbins is launching a new and improved Milkshake this month that’s creamier and more delicious than ever. Guests can enjoy any Baskin-Robbins ice cream flavor in their Milkshake, including classic favorite World Class® Chocolate, which features rich white chocolate flavored mousse ice cream swirled with milk chocolate flavored mousse ice cream. Throughout the month of October, Baskin-Robbins will be offering guests several frighteningly good deals, including a Small Cappuccino Blast for $2.99 all month long. This delicious frozen coffee beverage is made with 100% Arabica coffee and ice cream blended together and topped with whipped cream and cinnamon. It can also be enjoyed with any Baskin-Robbins flavor, including seasonal favorites like Pumpkin Pie. Starting this month, guests can also enjoy ice cream cakes starting at $12.99. Ice cream cake varieties starting at $12.99 include the ½ roll Celebration Party Cake, which is a festive cake featuring colorful streamers, and the ½ roll Rosette Cake, which is an elegant cake enrobed with either pink or blue rosettes. These two cakes serve 2-4 people and are perfect for everyday occasions. Finally, guests can make Halloween even more “fang-tastic” by stopping into Baskin-Robbins to enjoy its October “Celebrate 31” promotion. On October 31st at participating restaurants nationwide, guests can enjoy any regular or kids-sized scoop of ice cream for $1.50. * This promotion can be enjoyed on any Baskin-Robbins ice cream flavor. ®/™ SNICKERS, MILKY WAY and TWIX are registered trademarks of Mars, Inc. ©Mars, Incorporated. Used under license by Baskin-Robbins. Named a top ice cream and frozen dessert franchise in the United States by Entrepreneur magazine's 38th annual Franchise 500® ranking in 2017, Baskin-Robbins is the world's largest chain of ice cream specialty shops. Baskin-Robbins creates and markets innovative, premium hard scoop ice cream, a full range of beverages, and a delicious lineup of desserts including custom ice cream cakes, the Polar Pizza® Ice Cream Treat and take-home ice cream quarts and pints, providing quality and value to consumers at more than 7,800 retail shops in 52 countries worldwide. Baskin-Robbins was founded in 1945 by two ice cream enthusiasts whose passion led to the creation of more than 1,300 ice cream flavors and a wide variety of delicious treats. Headquartered in Canton, Mass., Baskin-Robbins is part of the Dunkin' Brands Group, Inc. (Nasdaq: DNKN) family of companies. For more information, visit www.BaskinRobbins.com.